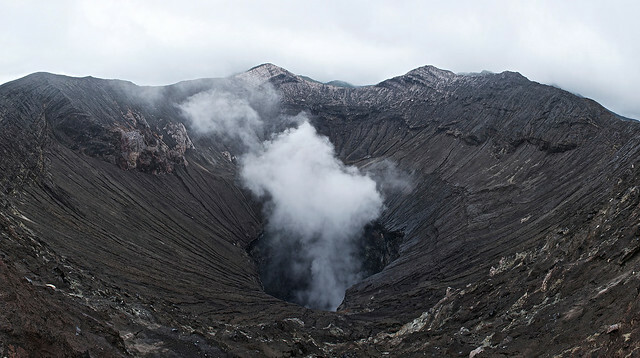 Looking into the active volcanic crater of Mt Bromo. 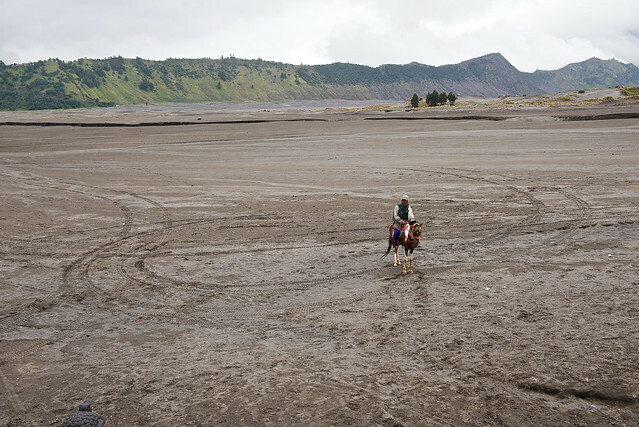 A cowboy tour guide waits for his clients on the dusty volcanic plain of Mt Bromo. 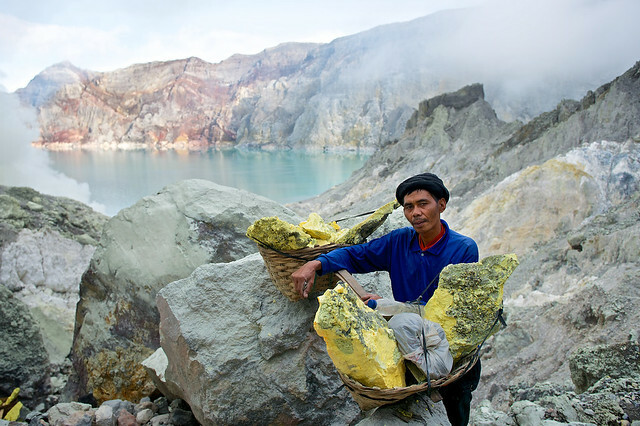 I had a chance to visit the famous Ijen Sulfur Mine in Eastern Java. 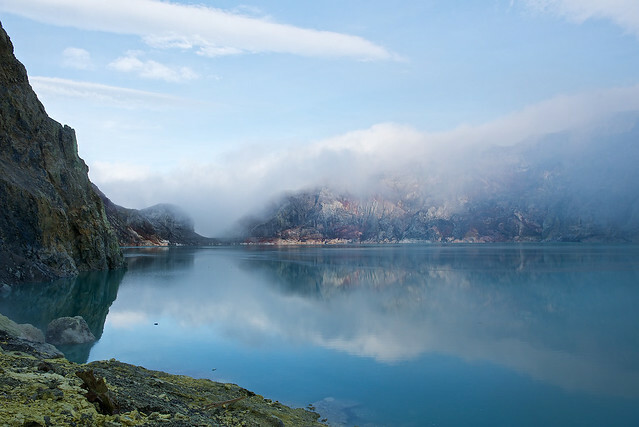 Set next to a very beautiful lake, the “mine” is actually a sulfur vent where the workers have used long pipes to cool the fumes and collect the elemental sulfur. They then carry the cooled rocks in up to 90kg (200lbs) baskets to sell for about $13USD. 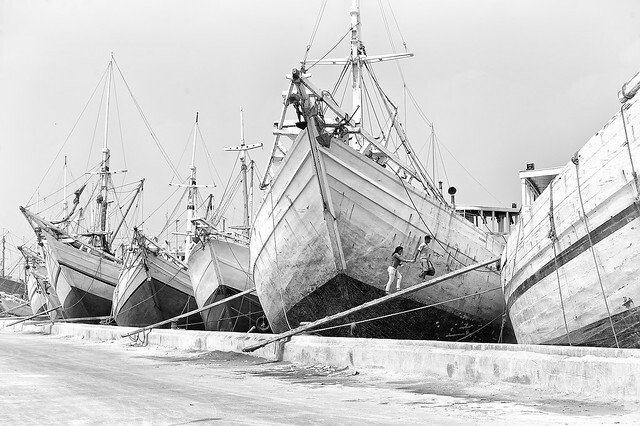 Despite these incredibly difficult working conditions, I found that the workers were in quite good spirits. 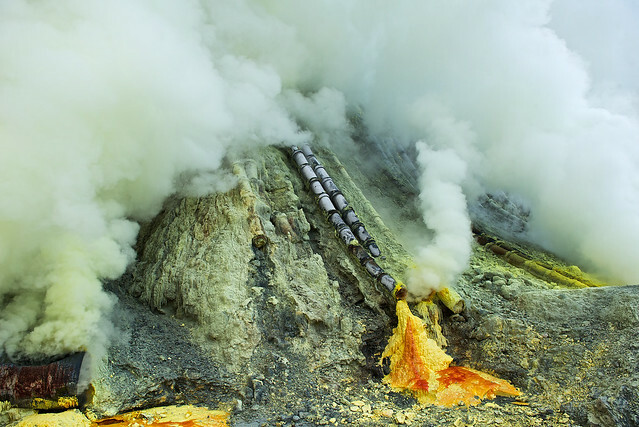 The pipes lead the suture fumes down toward the ground where it cools and becomes liquid, then a solid. 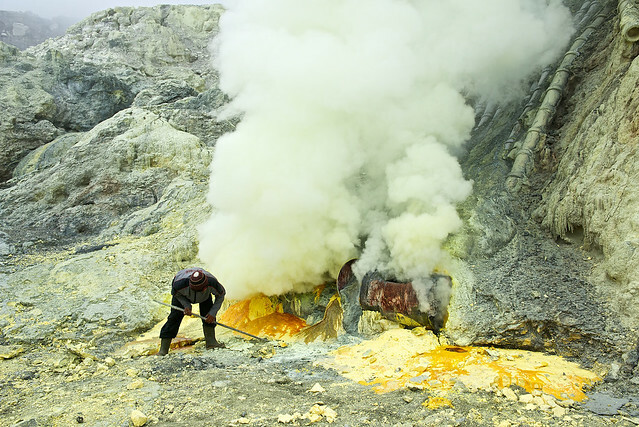 The sulfur is then collected and carried out by dozens of workers. 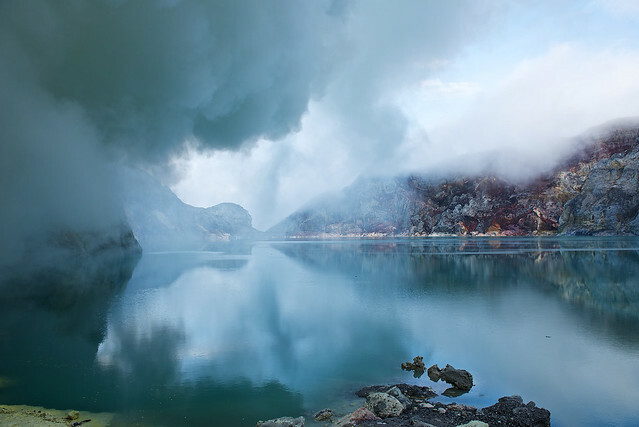 Like many of Indonesia’s volcanoes, Mt Ijen has a lake in the crater. 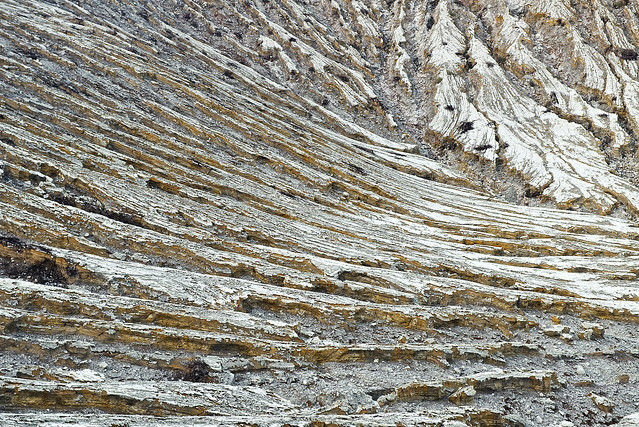 Volcanic landscapes are very strange. 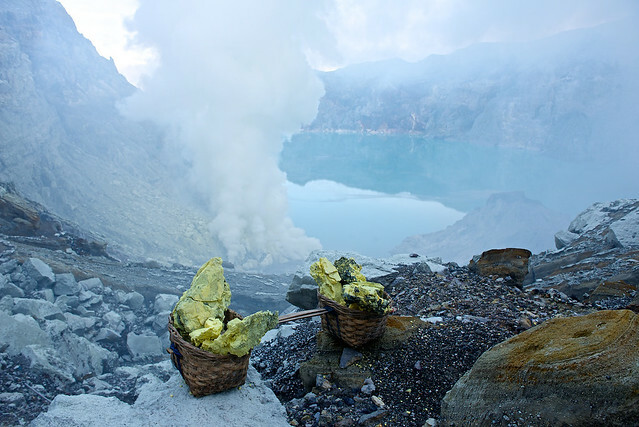 The workers at Mt Ijen carry up to 90kg loads of sulfur out of the volcano up to 20 times a day. 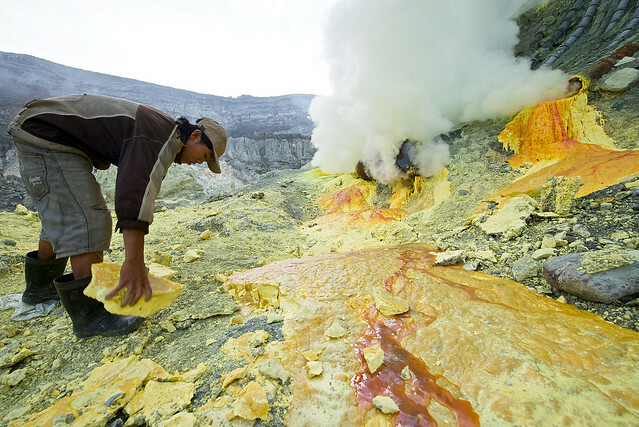 This worker is returning to the sulfur pits at the bottom of the volcanic crater on Mt Ijen, Java, Indonesia. 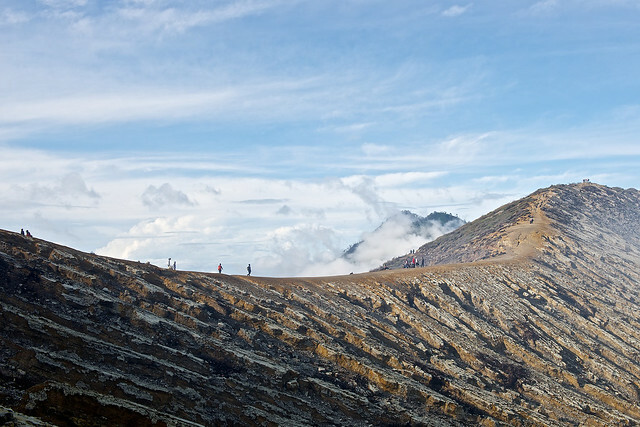 Tourists and workers walk along Mt. 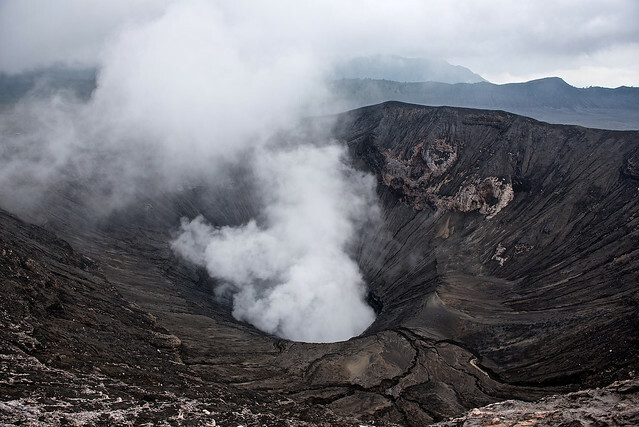 Ijen’s crater rim. 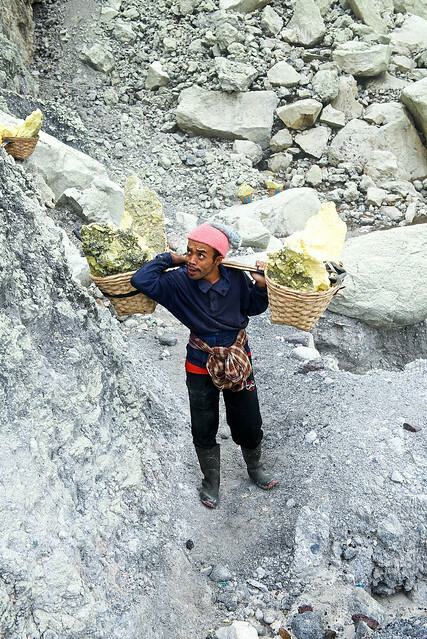 This laborer is returning to the sulfur pits in Ijen, Indonesia. 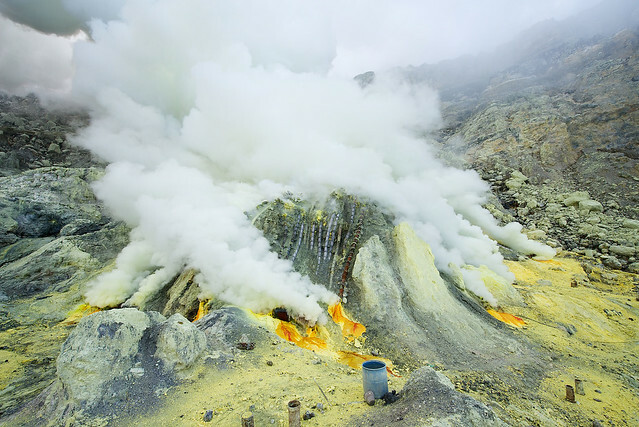 The workers make up to 20 trips up and down the volcano, each time carrying up to 90kg loads of sulfur. 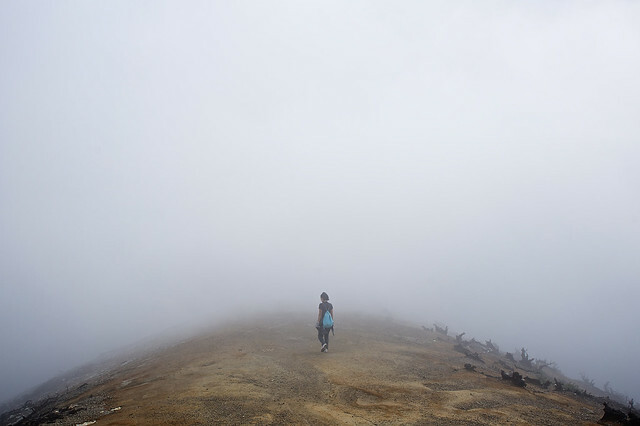 A tours walks into the thick fog and sulfur fumes at Mt. 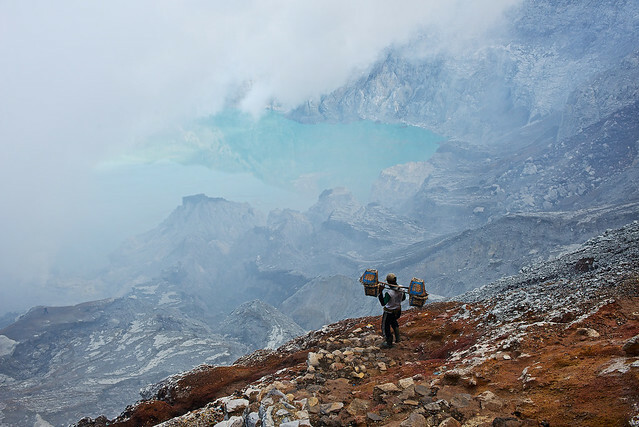 Ijen, Indonesia. 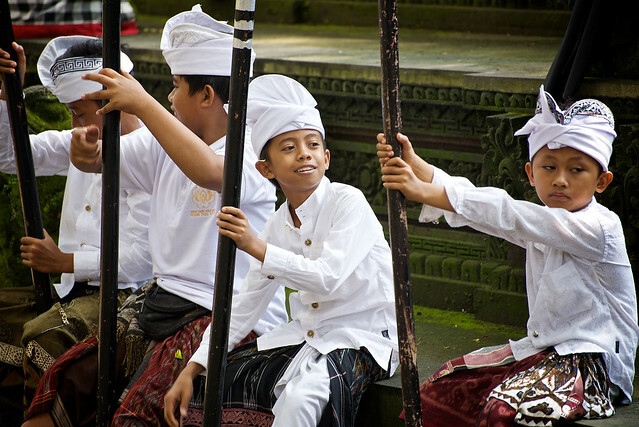 After my adventures on Java Island, I headed to the famous Bali Island for a little R&R. 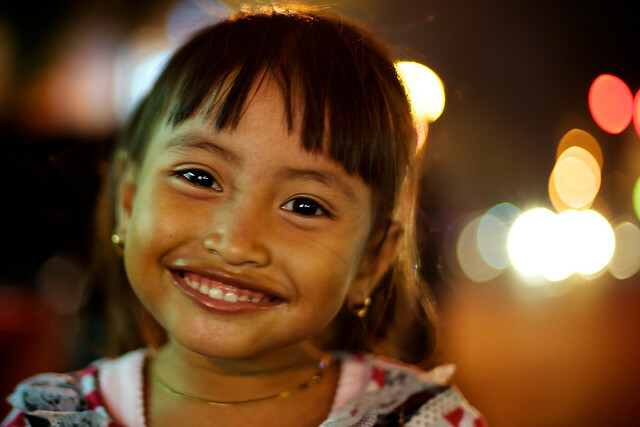 I didn’t shoot nearly as much as I did in Java, but the ones below are some of my favorites. 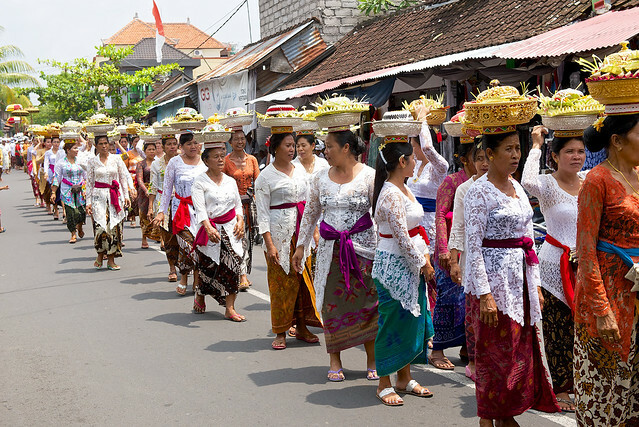 Women walk in a religious Hindu parade in Ubud, Indonesia. 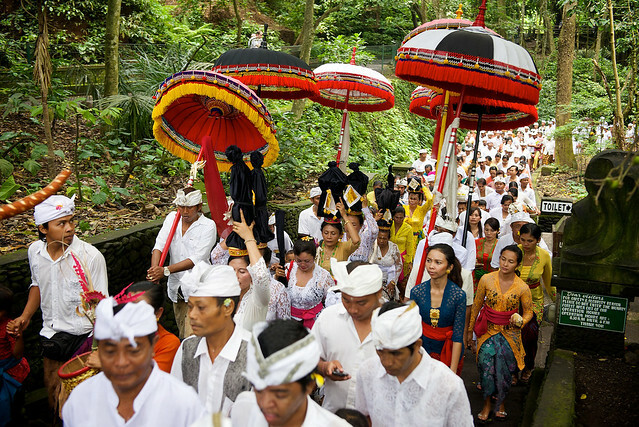 Many people walk in a Hindu parade in Ubud, Indonesia. 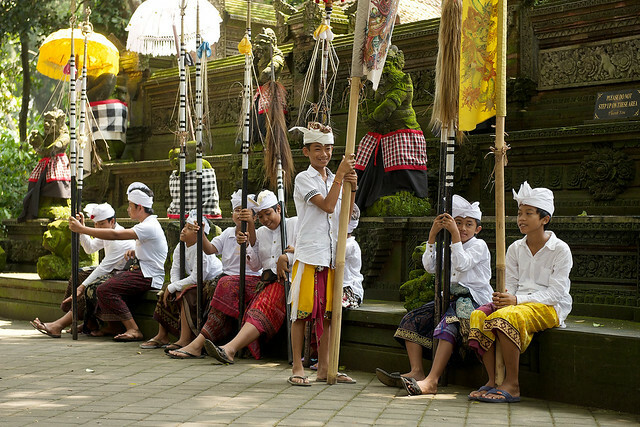 Boys prepare for a Hindu religious festival in Ubud, Bali, Indonesia. 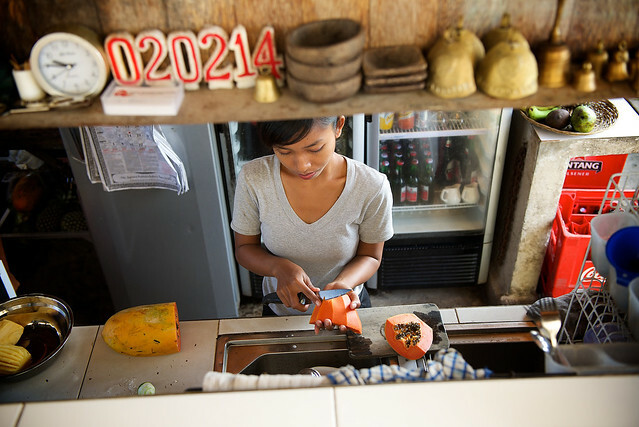 A waitress prepares fresh papaya at a cafe in Ubud, Bali, Indonesia. 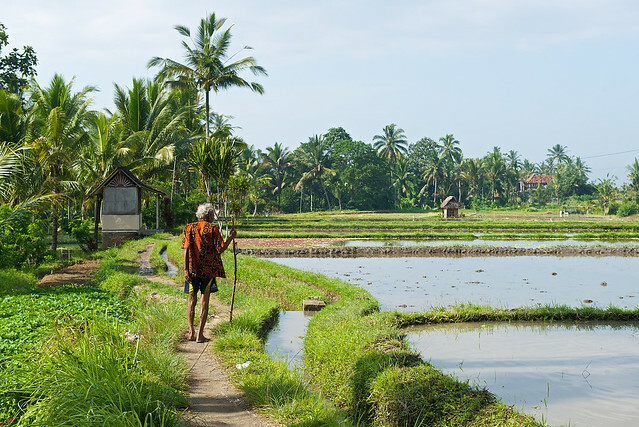 A farmer tends his rice fields in Ubud, Bali, Indonesia. 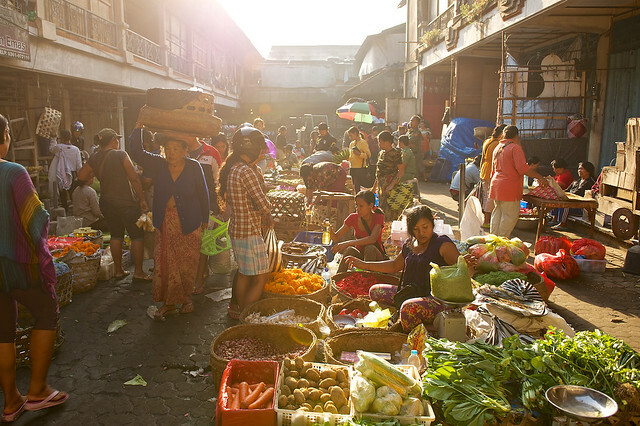 The fresh vegetable morning market is very busy in Ubud, Bali, Indonesia. Finally, in this massive post, I’d like to share some of the images that I shot while on assignment in Jakarta, a year before this trip. 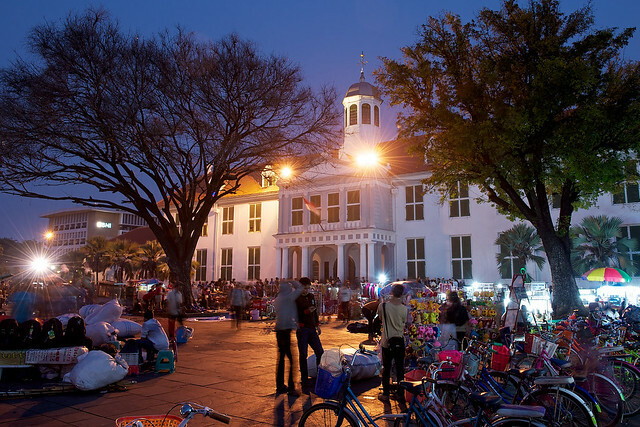 I was there to short and article on street food, and in particular, a snack called Krupuk. Most of these images weren’t really shot for the article, but were just normal travel photos I took while completing the assignment. 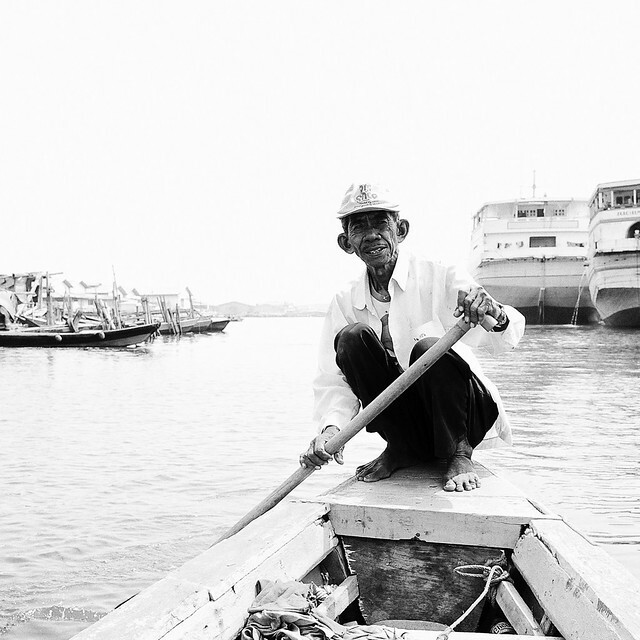 This man was giving boat tours of the waterfront at the Jakarta main harbor, Sunda Kelapa. 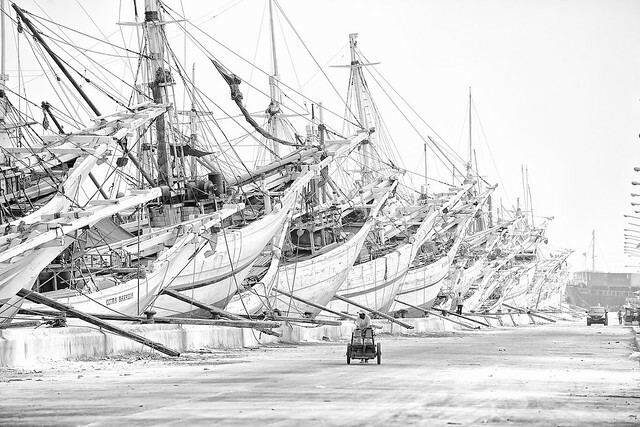 Fishermen in Jakarta still use these old, wooden ships at the Jakarta main harbor, Sunda Kelapa. 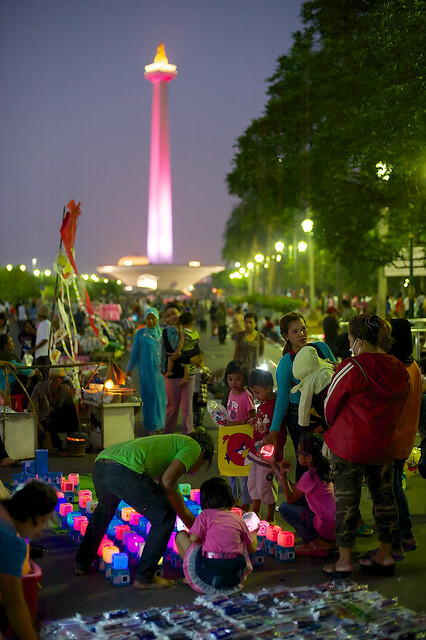 During the long EID holiday in Jakarta, Indonesia, many people gather at the MONAS National Monument for picnics. Just some funny kids I ran into near my hotel. 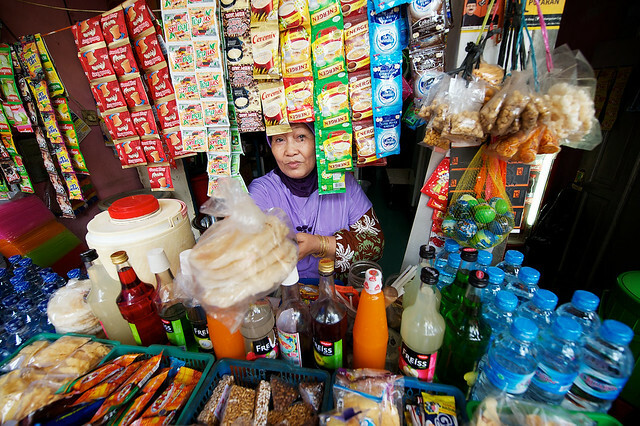 Small neighborhood stores often sell many different kinds of krupuk as a snack. 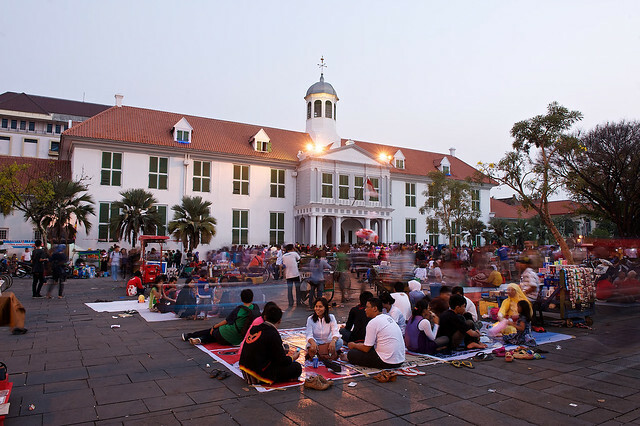 Gathering to relax in front of Taman Fatahillah during Eid festivities. 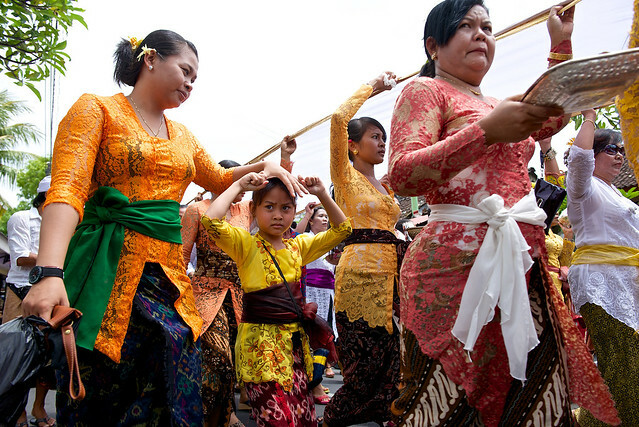 Krupuk is what those crackers are called on the front of the plate. 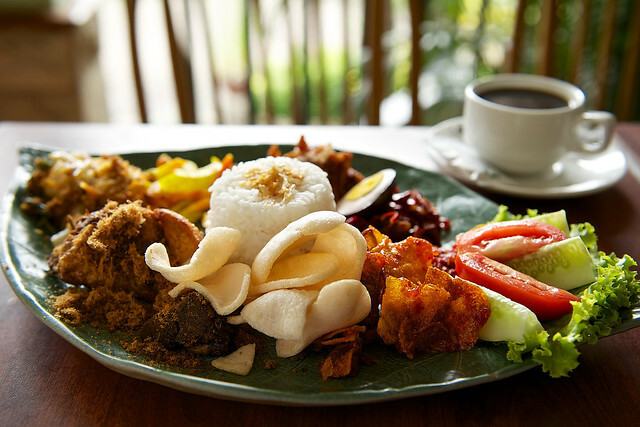 I found that just about every kind of Indonesian food was quite good, but got a little boring after a few weeks of eating it. 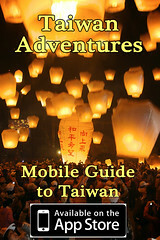 I’m sorry the write up for this post is a bit short, but I’m super busy since getting back to Taiwan and probably should’t have even taken the time to write what I did. 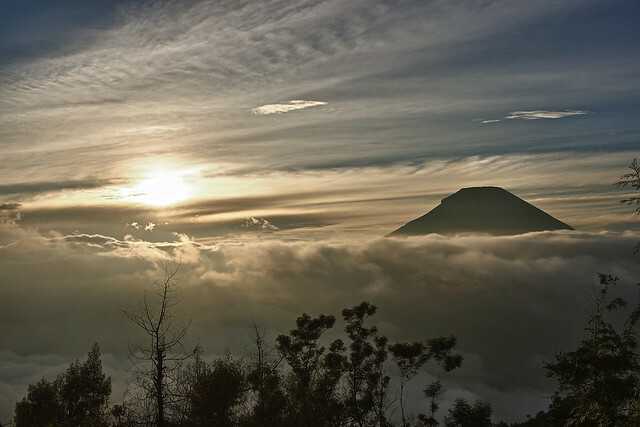 If you have any questions about my experiences in Indonesia, or anything else, please ask in the comments.